An extensive set of brain imaging data indicates widespread white matter abnormalities in people with obsessive-compulsive disorder. A detailed brain imaging study published March 14 in the journal Translational Psychiatry indicates that there may be widespread small-scale defects – called microstructural abnormalities -- in the brain’s white matter in patients with obsessive-compulsive disorder (OCD). White matter refers to the bundles of nerve fibers connecting different parts of the brain. The research, led by Dr. Xiongzhao Zhu of Central South University of Changsha, China and colleagues, confirms evidence from earlier studies of white matter alterations in adults with OCD, but gives a more complete picture of where those alterations lie. The research also suggests that large-scale brain networks may be disrupted in the disorder. Raymond C.K. 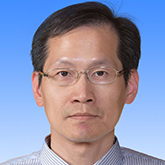 Chan, Ph.D., a 2003 NARSAD Young Investigator now at the Chinese Academy of Sciences, is a co-author of the new study. To scan the brain for OCD-related abnormalities, Dr. Chan and the others used a type of magnetic resonance imaging (MRI) called diffusion tensor imaging (DTI). It is a non-invasive technique that is sensitive to the structure and orientation of white matter fibers in the living brain. They performed DTI scans on 24 patients with OCD and 23 healthy controls. Patients with OCD demonstrated more abnormalities in both the structural integrity of white matter, and in features such as the length of the nerve fiber bundles that bridge the different regions of the brain. These abnormalities were predominant in the parts of the brain called the corpus callosum and the left superior longitudinal fasciculus, but appeared in several other regions as well.